Vishal Shekhar talks to you…!! 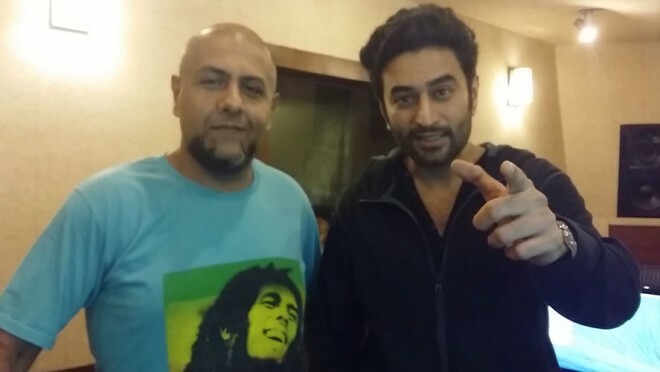 FLASH MOB for Vishal – Shekhar Coming Soon..!!! What do VISHAL-SHEKHAR have in store for Singapore…! Vishal & Shekhar: Ms. Shweta ‘from Teamwork Productions’ tells us all..! Be a Part of the PARTY..!!! 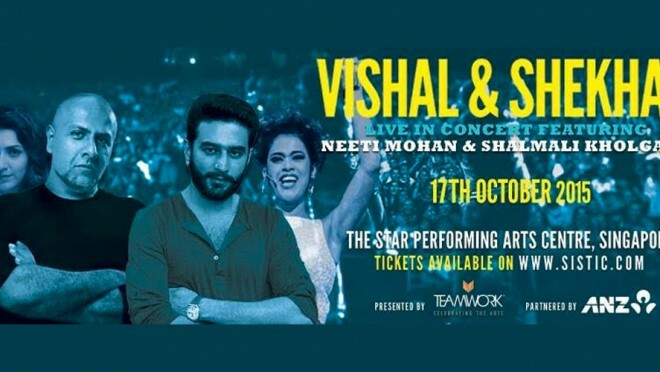 VISHAL & SHEKHAR Live in Singapore.!! 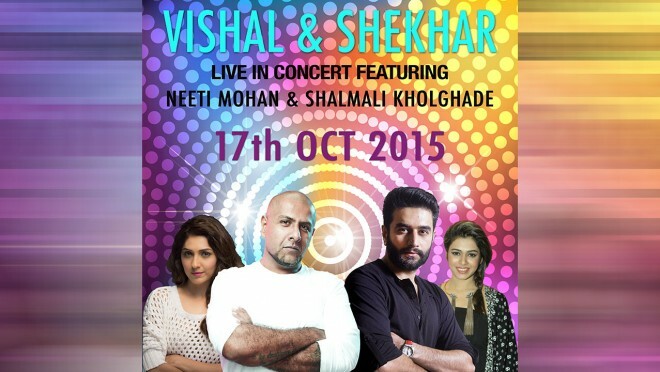 Featuring Neeti Mohan & Shalmali Kholgade Oct 17th 2015 @ The Star Performing Arts Center, Singapore. @ 7 pm Tickets on SISTIC http://goo.gl/OLCvNX *Discount exclusively for ANZ card holders Be there Singapore.!!! Watch: Vishal Shekhar ready to rock Singapore..! 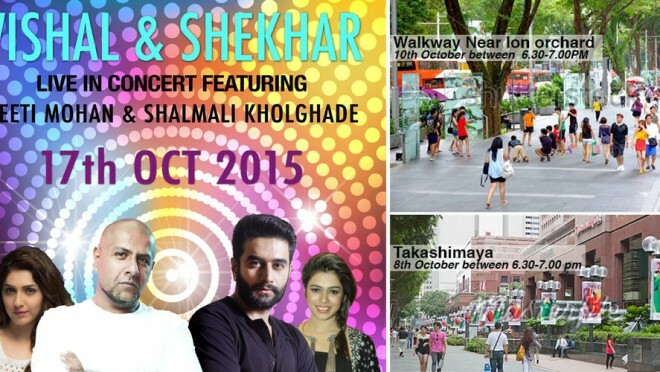 Music Composer duo Vishal-Shekhar LIVE in Singapore..! Music that is unmatched, music that is sure to make you groove, sure to create an atmosphere of a parrttyyyy... They are coming to town very very soon.. & you can be a part of this extravagant concert .!!! 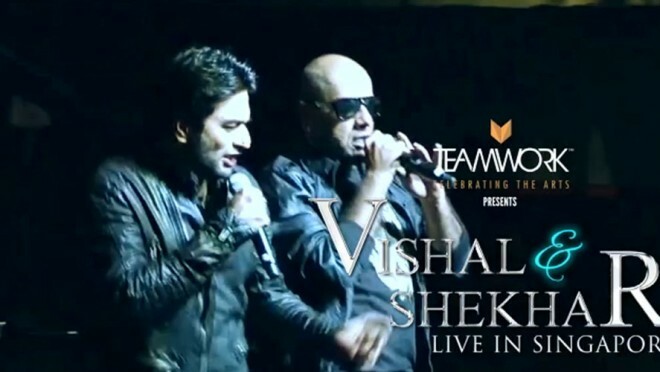 VISHAL & SHEKHAR Live in Singapore.!! Featuring Neeti Mohan & Shalmali Kholgade Oct 17th 2015 @ The Star Performing Arts Center, Singapore. @ 7 pm Tickets on SISTIC http://goo.gl/OLCvNX *Discount exclusively for ANZ card holders Be there Singapore.!! !